Many don’t think much about deserts in the context of biodiversity and aesthetic lure. Despite their barren appearance, deserts are teeming with unique and beautiful plants and wildlife, which play a critical role in healthy ecological function as well as human use and enjoyment. They are found on every continent, cover more than one-fifth of the Earth’s surface, and receive less than ten inches of rainfall per year. Having just returned from a desert jaunt myself, I can tell you firsthand to bring plenty of water, sodium-laced snacks, and sources of shade: humans are not generally desert-adapted like the plants and animals I discuss here. The thick shell of the desert tortoise helps reduce water loss. Desert animals display fascinating strategies to not only survive, but also thrive in arid conditions. Although high desert temperatures in California make it difficult for many large mammals to survive, smaller organisms abound, though somewhat out of human sight. Smaller creatures have adapted certain behaviors and evolved physical characteristics to survive in extreme heat, including slimmer bodies and longer limbs to release excess heat and waxy body coatings to reduce water loss (an adaptation shared by many desert plants). Animals aren’t the only organisms fending for their lives in harsh environments. Desert plants also have a knack for surviving in water-deprived environments, such as water storage in stems and thick, waxy coatings to reduce water loss by rendering the plant practically waterproof. Desert plants aren’t just adeptly suited for their environments; some provide important human uses. Ever heard of jojoba? This desert shrub contains a high-quality oil that commercial industries currently use in products, such as shampoo, soap, and lotion. The use of jojoba dates back to much earlier times; Native American Indians used jojoba for cosmetic and medicinal purposes, and Americans used it during World War II in motors and transmissions for military equipment. Before researchers discovered the valuable use of this oil, sperm whale oil was used as an industrial lubricant and as an ingredient in body lotion and perfumes, contributing to the sharp decline in this whale species’ population. Replacing sperm whale oil with jojoba oil (along with conservation efforts) has contributed to the restored sperm whale population. Given the applications of many plants, pharmaceutical companies often hire researchers to scour nature for new natural medicines. With one fifth of the earth covered in desert, who knows what else we can find in the desert that can contribute to the betterment of human and ecological health. 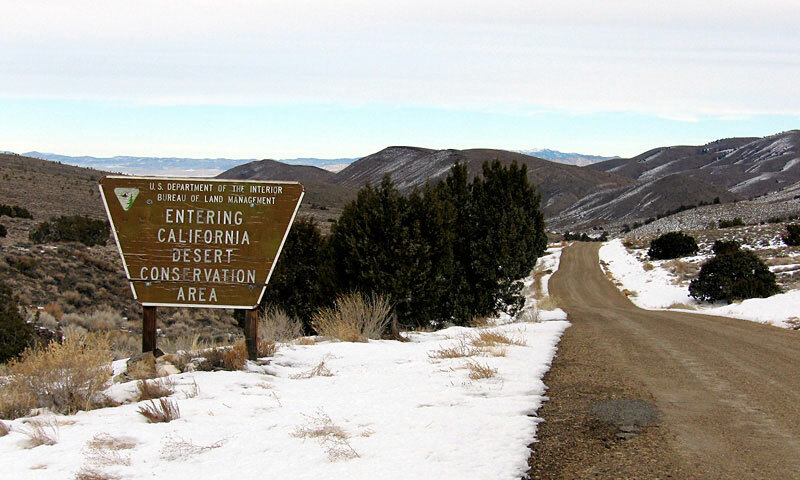 The California Desert Conservation Area encompasses 25 million acres. This is one of the many reasons conservationists strive to set aside desert land to help protect its native plants and animals. In fact, 25 million acres in southern California is part of the California Desert Conservation Area, which encompasses sand dunes, canyons, dry lakes, 90 mountain ranges, and 65 wilderness areas. Additionally, the California Desert Protection Act of 2010, proposed by U.S. Senator Dianne Feinstein, aims “to provide for conservation, enhanced recreation opportunities, and development of renewable energy in the California Desert Conservation Area”. Renewable energy in the desert generally takes the form of solar or wind power. More recently, the Ocotillo Wind Energy Facility Project began construction last year, and plans to set up 112 wind turbines on approximately 12,000 acres of land. This wind farm should provide energy for approximately 140,000 homes in San Diego and rake in millions of dollars for the community. However, such development comes with an ecological and cultural price, as the project impacts sensitive species habitats as well as sacred Native American land. Understandably, land managers, government organizations, non-profits, and industry companies are at odds given the complex nature of the costs and benefits of such a project. Senator Feinstein acknowledged the gray area of balancing conservation needs with advancing renewable energy development, which was included in her re-introduced 2011 Act. Still think deserts are dull and boring? Try visiting Anza-Borrego Desert State Park (or your nearby desert of choice) during a wildflower bloom. Around February and March, the park springs to life with vibrant yellows, oranges, purples, magentas, reds, and blues. Check the Anza Borrego Wildflower Updates for more information and the best time to see the wildflowers. Other deserts may flower earlier or later than Anza Borrego, and the timing varies from year to year, so look for resources that report optimal times to visit. Wildflower Bloom at the Anza-Borrego Desert State Park. The Living Death Valley documentary captures the unique landscapes, striking geologic formations, bizarre and beautiful plant life, and uniquely adapted wildlife. I encourage you to visit your local desert and enjoy one of the many recreational opportunities, rock climbing, camping, hiking, horseback riding, wildlife viewing, hunting, and a plethora of other activities. (Just don’t forget the water – we’re not fit for desert life). Deserts, Arid But Full of Life. National Geographic. Ombrello, T. JOJOBA and the Sperm Whale. UCC Biology Department. Davila, Alejandro. Ocotillo Express project expected to blow in millions of dollars locally.